Orange Dream, mmmm. Do you know those Jell-O recipe cards that you find tucked inside old cookbooks at thrift stores and garage sales? Heck you, your mom or even your grandmother might have an entire set of them? 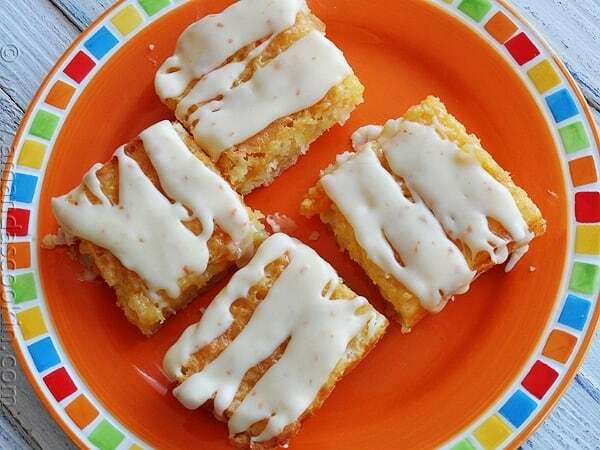 Well this cold dessert called Frosty Orange Dream Squares is one of those recipes. While it’s quite tasty, I wouldn’t say it’s portable because you have to keep it in the freezer. So hauling it to the barbecue you were invited to probably won’t be an option. However, if you’re having friends over to your place, then definitely give this a try. 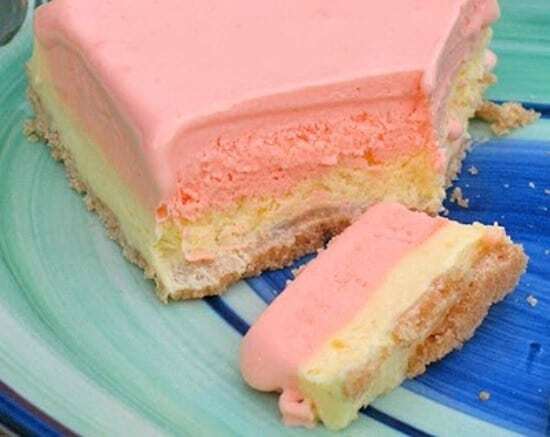 These Frosty Orange Dream Squares are made from sherbet, whipped cream (like Cool Whip) and pudding. The crust is made from Nilla Wafers, though you could certainly substitute graham crackers instead. In fact, did you know they make vanilla graham crackers know? Not kidding. I saw them at the grocery store just a couple weeks ago. Hope you enjoy these Frosty Orange Dream Squares. I know we did! Get the printable version of the recipe below! If you like dreamy dessert, try my Pineapple Dream Dessert. It’s the most popular dessert on this blog. Once you taste it you will totally understand why! 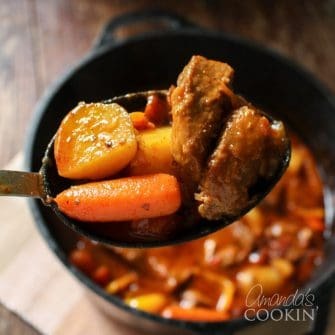 If you’d rather not fuss with dessert after dinner, start this in the slow cooker hours earlier! 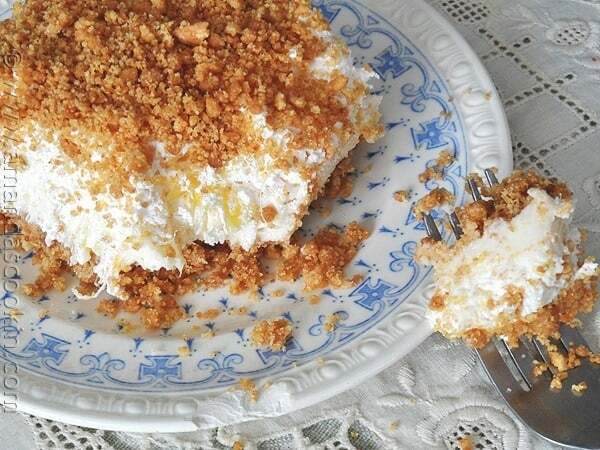 You’ll love the ease of this Vanilla Dream Crockpot Cake. If you have a sweet tooth these Tropical Dream Dessert Bars are for you! Apricots, orange and pineapple combine for a flavor treat! When it comes to cake, poke cakes are my all time favorite. 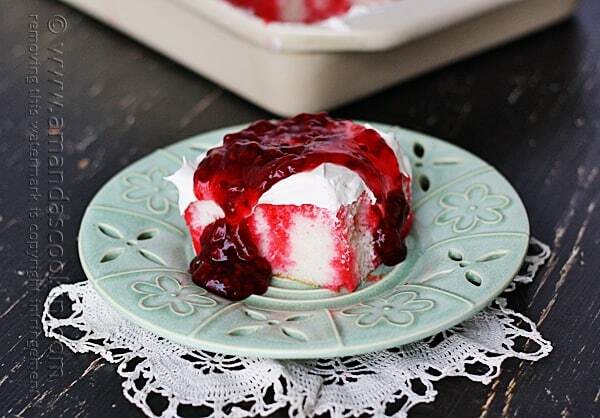 This Raspberry Dream Poke Cake is at the very top of my list! 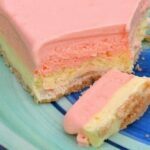 These Frosty Orange Dream Squares are made from sherbet, whipped cream (like Cool Whip) and pudding. The crust is made from Nilla Wafers, though you could certainly substitute graham crackers instead. Line 13x9-inch pan with foil, with ends of foil extending over sides. Mix wafer crumbs and butter; press onto bottom of prepared pan. Beat pudding mixes and milk in medium bowl with whisk 2 min. Stir in half the COOL WHIP; spoon over crust. Refrigerate 10 min. Add remaining COOL WHIP to sherbet; whisk until blended. Spoon over pudding layer in crust. Freeze 3 hours or until firm. Use foil handles to remove dessert from pan before cutting to serve. I have made this so yummy.